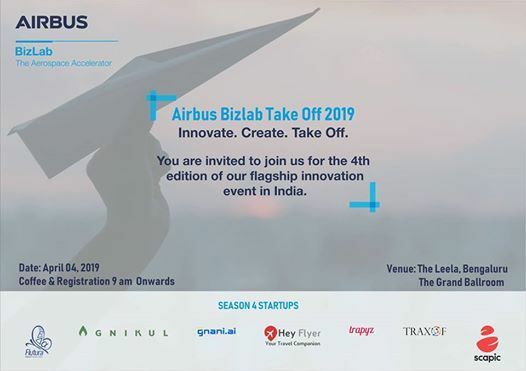 We are happy to partner with Airbus Bizlab for their upcoming event TAKEOFF 2019. 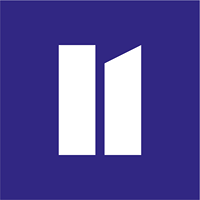 Are you a startup with a solution / technology / product that can be adapted for the Aerospace / Aviation / Defense sectors? or Are you an ecosystem enabler interested in meeting industry leaders in these areas? 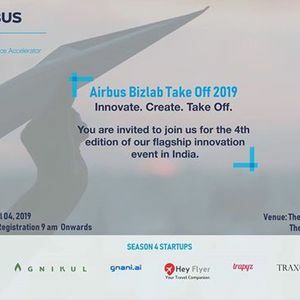 Request for a pass to attend our partner event, Airbus BizLab TAKE OFF 2019. Get an opportunity to meet the accelerated start-ups and learn how you can collaborate with Airbus.